Photograph of the Millar family having a picnic at their Caeau Capel country home in Nefyn. The photo was taken in the early 1900's, and was later made into a postcard. The photo shows Henry Edward Millar (b 1856, d 1912) of Heathdown, Hamstead Heath, London with his wife Ada Margaret (nee Prance), five daughters, and two of his sons outside the Caeau Capel Boathouse. 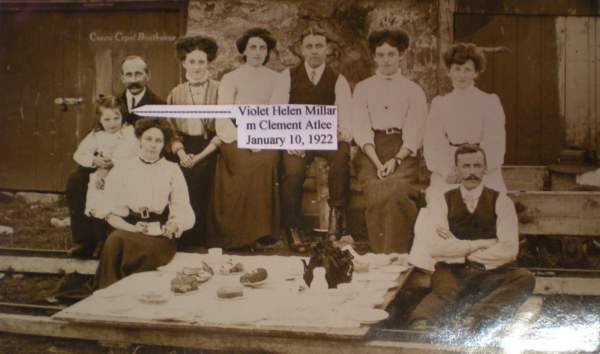 The youngest daughter Violet Helen Millar (b 1895, d 1964) married Clement Atlee (b 1883, d 1967) on January 10 1922. Clement Atlee was the Prime Minister of Great Britain from 1945 until 1951. 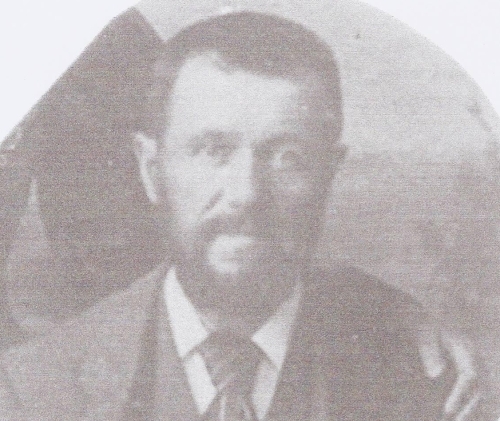 Richard Jones (1853-1913) stonemason and master butcher, the original owner of Glynllifon Stores on High Street, Nefyn. 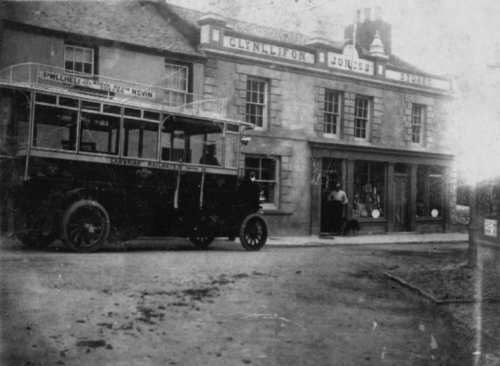 A Cambrian Railways omnibus from Pwllheli in front of the Glynllifon Stores on High Street.